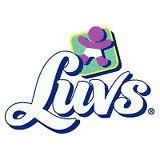 Bet on Your Baby + Luv’s Diapers Giveaway! We’re proud to announce the arrival of Bet on Your Baby, Saturdays 8/7c on ABC, in partnership with Luvs! Bet on Your Baby is a new show where parents play fun games with their toddlers, and try to “bet” on what baby will do next! If they guess corrrectly, the family wins $5,000 in college tuition money, and the chance to play for $50,000! How awesome is that! All of these heartwarming and hilarious games are played in a toy-filled room called the Baby Dome. Do you think you could predict what baby will do next? You can participate in the challenge at home too. Luv’s Super Absorbent diapers give your baby the protection they need at the low price your looking for – complete with a money back guarantee. New Luv’s Super Absorbent Jumbo Packs have an everyday low price of $6.97 at Wal-Mart! ABC has partnered up with Luv’s to bring you this GIVEAWAY. One lucky Fun Living Frugal fan will win a 3-pack of Luv’s coupons. All you have to do is enter below. Giveaway ends 6/5/13 at 10pm. Next postPANDA EXPRESS ~ FREE Orange Chicken Tonight 5/31! I could never predict what my child would do next! Joanne, I feel the same way!